If you've found an Instagram video that you love, chances are you don't want it to just disappear into the endless flood of posts on your feed. After all, you might want to see it again. But, if you've ever tried to download Instagram videos on PC or Mac, you'll know it's not all that easy. You can't do it straight from the app or website, so how can you make it work? Here, we'll highlight a few tried and tested methods of how to download Instagram videos, so that you can save all your favorites for ever more. There are a few different solutions to help you download Instagram videos on PC or Mac, some of which require at least a degree in coding to get your head around. We've selected three of the easiest and most accessible methods to share with you, and we promise you don't need to speak HTML to use them! Right click (or on a Mac, ⌘+click) and choose 'inspect element' or 'view page source', depending on the specific browser that you're using. This might sound all a bit cumbersome, but once you've had a couple of goes you'll find it's not as hard as it looks. If you're not used to keyboard shortcuts you might have a bit of a learning curve to traverse, but overall, it's a tried and tested method to download Instagram videos on PC and Mac that is popular with many users. We've tried DreDown with Instagram, YouTube, Vimeo and Vine, and it works smoothly and quickly without any issues on all of them. 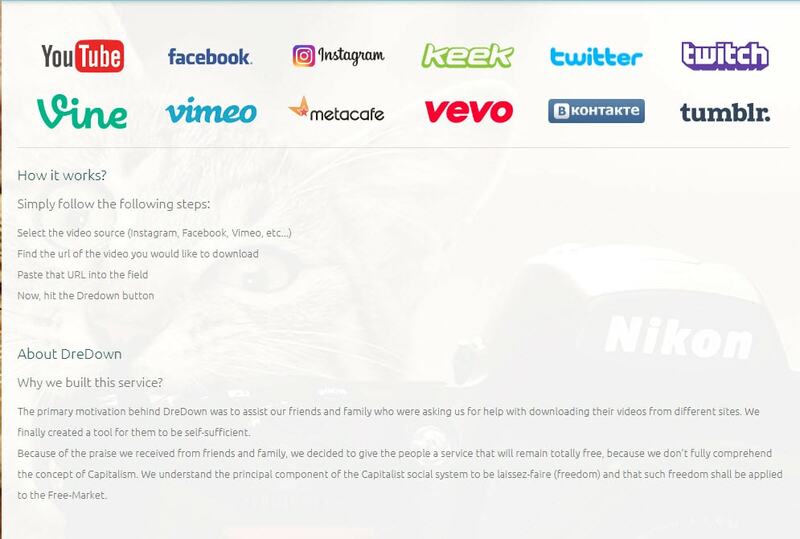 On the website it states it also works with Facebook, Keek, Twitter, Twitch, Vevo and many more too, so if you're wondering how to download Instagram videos or any other type of video, this is the website to trust. Now you know how to download Instagram videos, do make sure you are doing so responsibly. Instagram take copyright and privacy very seriously, so if you did not create the content, you must not share or redistribute it without the permission of the owner. If you do share it, make sure you clearly attribute the content creator in your work. You can now download Instagram videos on PC and Mac and can transfer them to any of your mobile devices too. Let us know which method worked best for you, or if you know of another way we've not yet mentioned.